Farmers are facing an unprecedented period of challenge and change with many opportunities for those that prepare, but pitfalls for those that don’t. “Farmers really will need 20:20 vision to identify the best route forward and that’s why the CLA is urging them to ask themselves where they want their business to be in 2020. Now, more than ever, is the time to plan ahead,” says CLA East director Nicola Currie. “Given the likely environmental, economic and regulatory changes that lay ahead, issues such as energy and water security should be top of the agenda, as should a strategy for minimizing input costs and making the most of tax reliefs. “For example, the Chancellor’s announcement in his Autumn Statement to increase the Annual Investment Allowance for plant and machinery 10-fold from £25,000 to £250,000 is great news for the rural economy. Mrs Currie explains: “This means farmers will be able to claim 100 percent capital allowances against their earnings on up to a quarter of a million pounds of equipment a year, for the two years from January 2013. This could kick-start investment in farm machinery, renewable energy projects and other diversification projects. 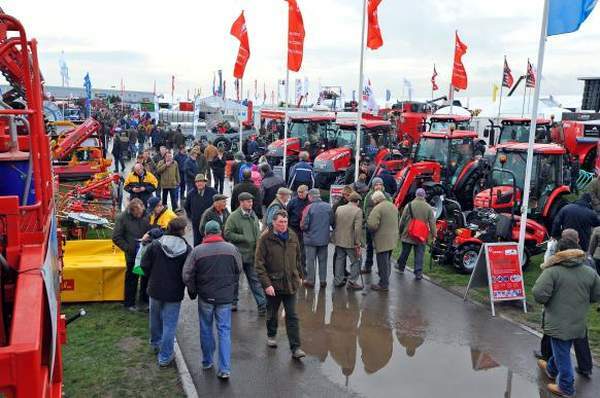 The CLA will be on stand 835, Hall 8 at LAMMA on 16-17 January 2013.